Several Layers Go Into A Built Up Roofing System, It’s Important To Let Airborne Roofing Help You Install. Built up roofing, or BUR as it’s commonly referred to as, is the most popular choice of roofing membrane for low-slope roofs. A built up roof is composed of several single-ply bitumen and reinforced fabric layers to create the roofing membrane, typically topped with a layer of roof coating. 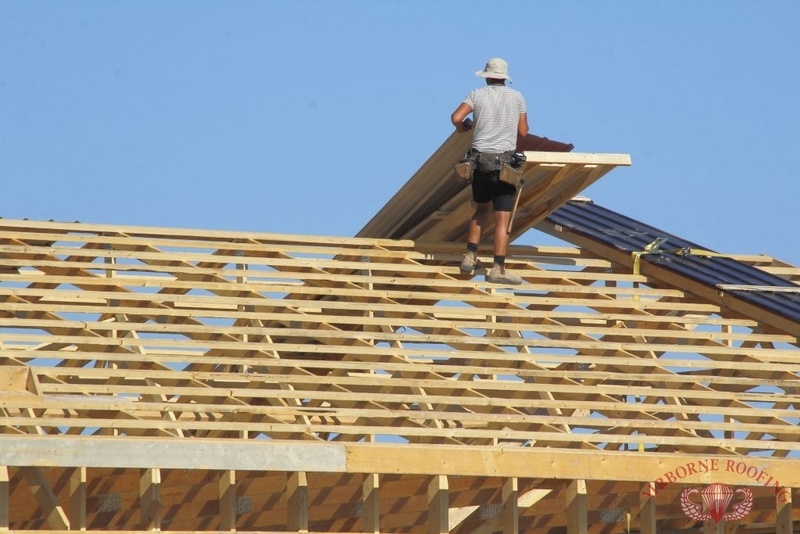 The end result of a built up roofing system can be as thick as desired upon request. If you are looking for the best in durable, quality roofing, contact us (856) 662-1382 to see if a built up roofing in Berlin and Cherry Hill, NJ can give you the ultimate protection with customized membrane layers. After The Layers Have Been Installed, Airborne Roofing Seals Your Roof With A Gravel-Based Top Layer. After the appropriate number of membranes has been placed and secured on the roof through heat application, the surface layer is applied which generally consists of stone or gravel (but can be left with just the final single-ply sheet) and topped off with a roof coating for that final layer of protection. 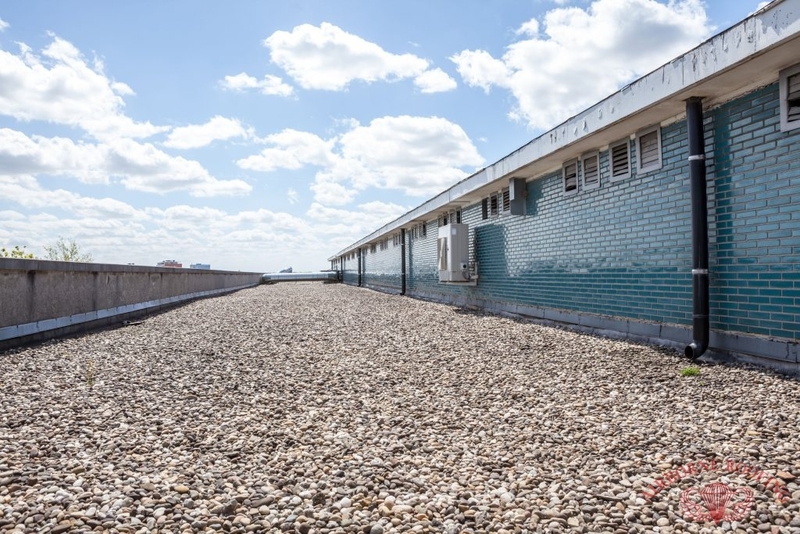 The biggest advantage of having a built up roofing system for your commercial property is knowing that with each layer, the chances of water and physical damage are reduced greatly. With the addition of a roof coating on top of the BUR, Airborne Roofing can ensure that your newly installed roof comes with the most protection and quality control that we offer. A built up roofing system is ideal for larger commercial spaces, as repairs and maintenance for a BUR take a little more time to inspect and ensure that every layer properly adheres and no damage is seeping through the membranes. A built up roofing system sets the standard for durability – with its composed, alternating membrane layers, the threat of weather and physical damages can be put to ease. Contact us (856) 662-1382 to get started on a built up roofing system from Airborne Roofing today. Always affordable and fully insured, we’ve been servicing built up roofs in Berlin and Cherry Hill, NJ since 1968! Updated on September 21, 2018 at 2:32 pm by Airborne Roofing.